Non-fans of the sport might not know this, but the WWE’s annual SummerSlam isn’t just a place for retired political pundits to hide from the baying crowds and their demands for even-handed debate moderation. It’s also a massive wrestling event where costumed characters melodramatically pretend to kick each other in the teeth. 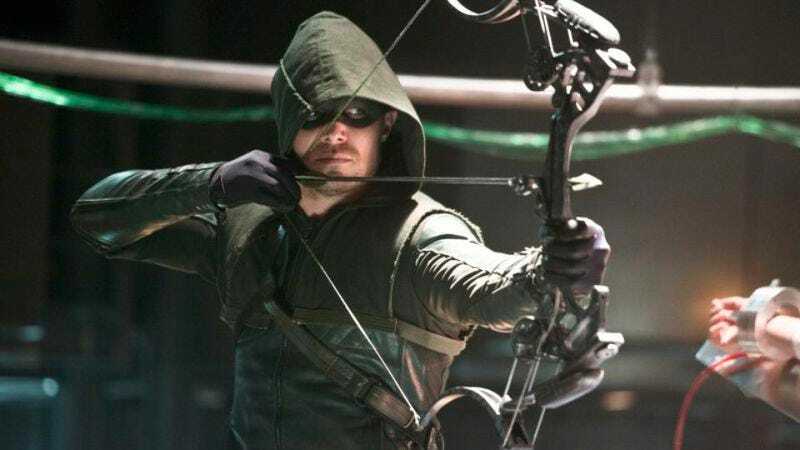 So it’s fitting that Arrow star Stephen Amell’s upcoming appearance at this year’s Slam—where he’s set to face off against social-media feuding partner Stardust—won’t be happening in civilian clothes.